Happy Tuesday, everyone! Welcome to the Skipping Stones Design Blog Hop to celebrate the release of Pumpkin Seed Sentiments! If you've just happened upon my blog today, make sure to start from the beginning at Skipping Stones Design. Combined with the blog hop today, it's also Skipping Stones Sketch Tuesday which means we're showcasing another great creation from our Guest Sketch Artist this month, which just so happens to be me! 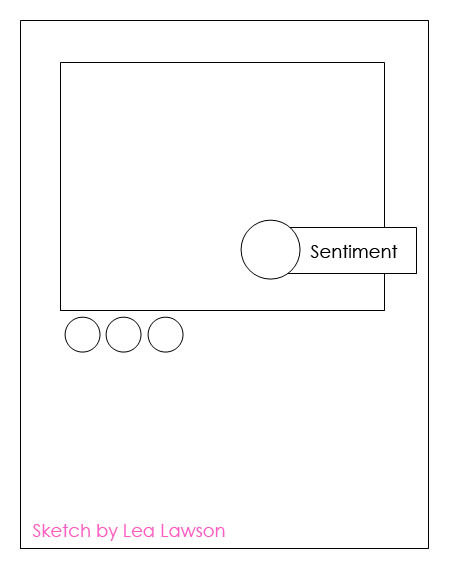 We'd love for you to play along with the sketch and link your card at the Skipping Stones Blog. 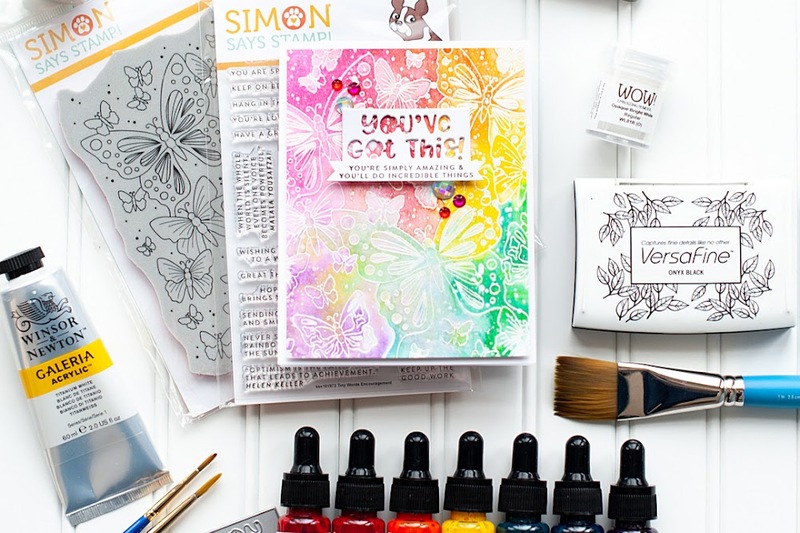 A free stamp set is up for grabs to a lucky winner that joins our sketch challenge! Instructions: Fold pink shimmer cardstock in half to make card base. Stamp the pattern to aqua cardstock, heat emboss, and then adhere the entire block to the front of the card using foam adhesive. Paint the chipboard heart white, cover in glitter, and adhere to the front. 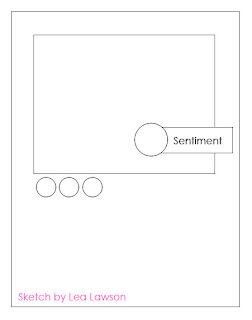 Stamp the sentiment to a white cardstock flag, and adhere around a clear topped pin. Adhere the sentiment flag to the glittered heart. Layer a twine bow on an aqua button, top with a pink paper flower, and adhere to the middle of the glittered heart, slightly overlapping the sentiment flag. Accent the left corner directly below the stamped aqua block with three jewels to finish. 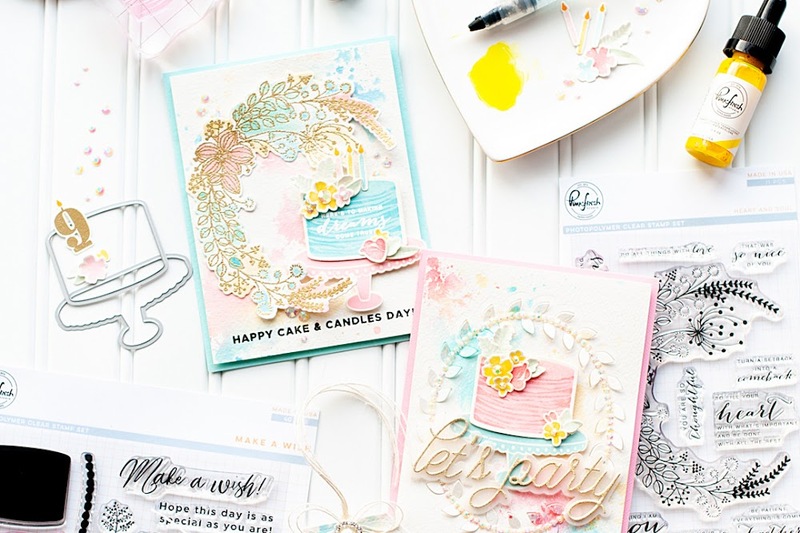 Here is a list of all of the blog hop participants...be sure to check out what everyone has created with this new fabulous stamp set! And last but not least, here is the sketch so you can check it out! We would love for you to participate this week! Very pretty! I love that cool font combined with stamps that enable you to make your own background DP. This is so beautiful, love the colours you have used and the sketch is superb, cant wait to get home and try this one out!! So so sweet card u made! Love your work! Always so beautiful! This is so pretty!!! I love it! Wow,I love the heart/flower/stickpin combo, what a pretty embellisment, really pulls it all together. 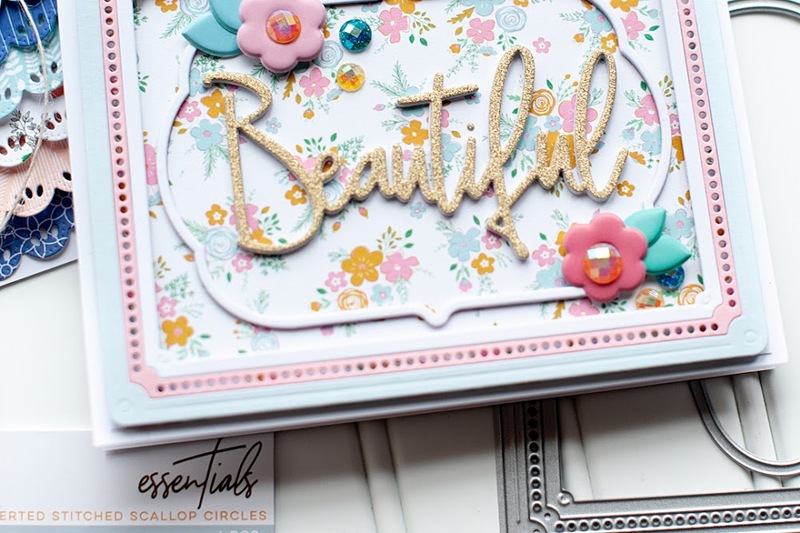 Such a pretty card...love the colors and all your fun details! Lea..this is Sooo Pretty...love the colors, the way you layered the embellishment, and the bling! Thanks for a great sketch! I totally LOVE this Lea! GORGEOUS layout and design! Your embellies could not be more perfectly placed!!! That flower is awesome! I love the cuteness of this card! Beautiful card...love the hatpin and the little rose! I've tried your first sketch..now on to the second! That background really pops! Love the beautiful stickpin, too! Off to the hop! Lea, your card is just gorgeous!! 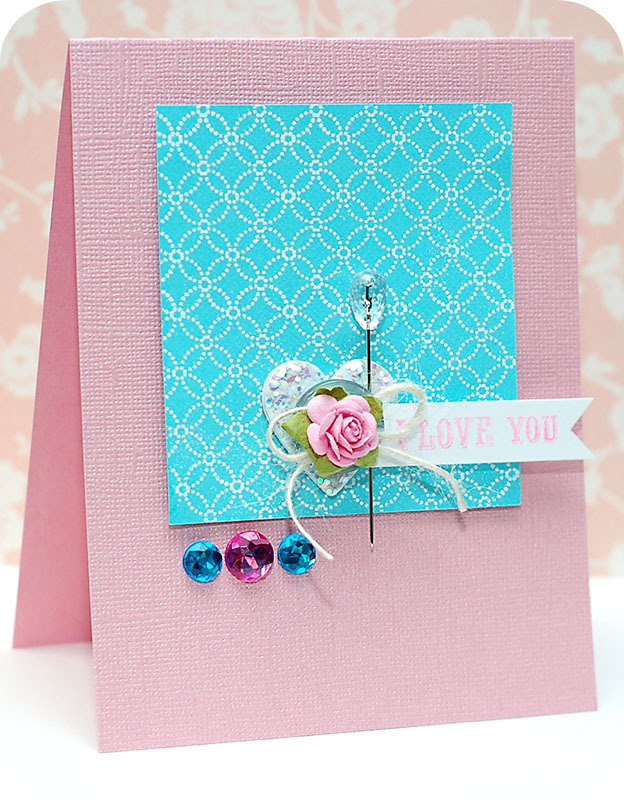 I love the blue stamped piece paired with the pink. Those gems just complete it perfectly! Thanks for giving us another great sketch to play with! So crisp clean and gorgeous. So gorgeous and I love this color combo! So glad to have you making these awesome sketches this month! Love the simplicity of this card.....but so beautiful!! I am in love with the hat pins too! My new fav!! Can't wait to play along with your sketch!! AHHHHHHHH-mazing!!!!!!! This is clean, simple, colourful and STUNNING!!!!!! What a beautiful interpretation of the design ... just lovely! aww this is so pretty!! Have been loving your sketches and WOW...your cards are out of this world! Stunning Lea...thanks for another awesome sketch! !